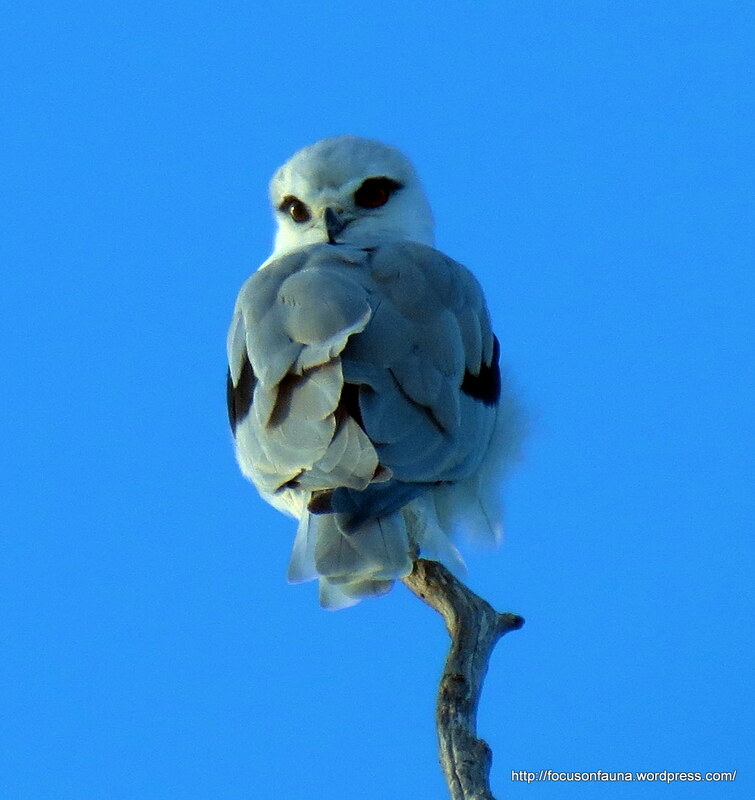 This beautiful Black-shouldered Kite has been spotted several times recently perched in characterstic pose on the topmost branch of a dead tree in the middle of a paddock above King Parrot Creek. Just before these shots were taken, it was swooped by a passing Grey Butcherbird. After raising its wings and giving a little squeal, the kite settled back and seemed unperturbed. 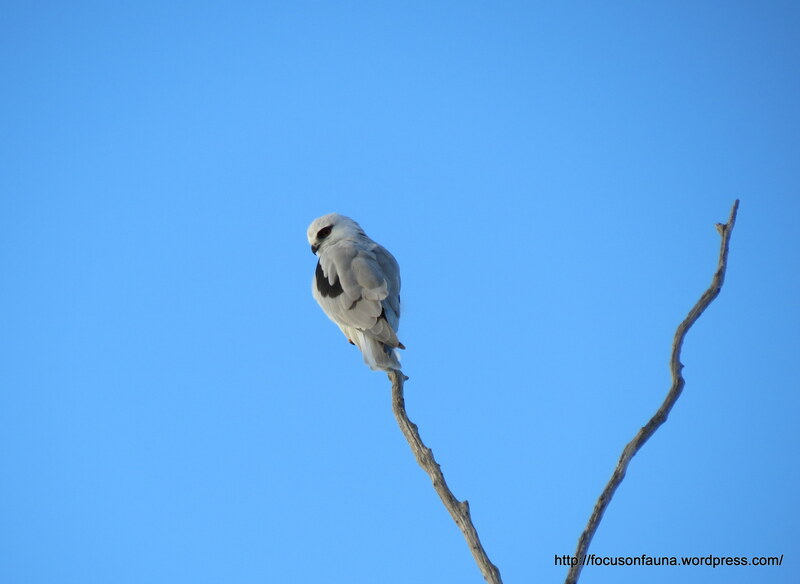 Thanks also to John for his report of a pair of Black-shouldered Kites in a tree-top near the Falls Road junction just out of Strath Creek. The kites are no doubt taking advantage of the large numbers of mice and rats that seem to be around at present. The perching habits of the kite (and the Nankeen Kestrel) highlight the value of leaving dead standing trees in open farmland.